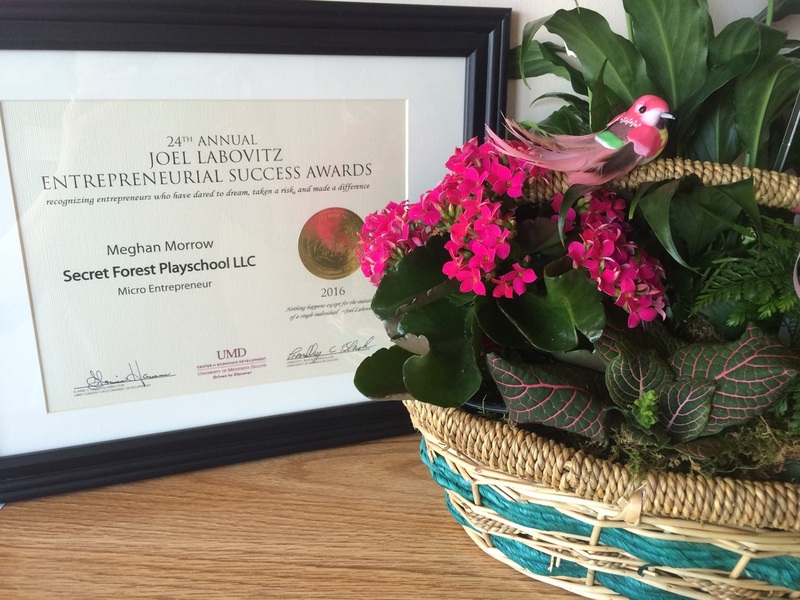 Secret Forest Playschool was nominated for the 2016 Joel Labovitz Entrepreneurial Success Awards. It was an honor, and very humbling, to be recognized as an entrepreneur in our community. Click here to read more. A group of Northland youngsters now have the chance to enjoy their unique new classroom. After months in the making, the doors are now open at the Secret Forest Playschool’s Cabin Classroom. Please click here to watch the new clip. Children learned to channel their inner mushers today as they had the chance to try out dog sledding with Positive Energy Outdoors. Please click here to watch the news clip. Workers from Minnesota Power right here in the Northland, are joining forces with crews from across the Midwest, scrambling across the City over the past few days to restore power to over 46,000 customers. Workers have been clocking in nearly 16-hour days, but their hard labor isn’t going unnoticed by students from Secret Forest Playschool in Duluth are showing these workers their appreciation. Please click here to watch the news clip.